Have at least 5 years full-time experience doing reserve studies. 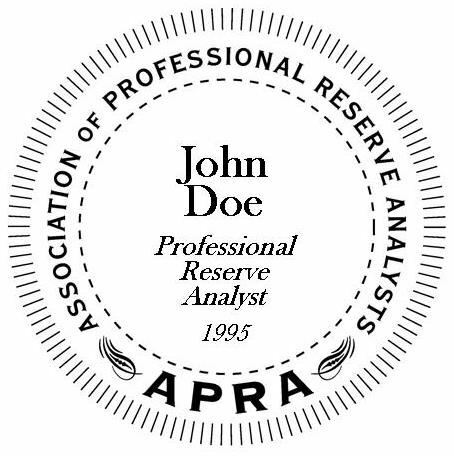 APRA’s Professional Reserve Analyst (PRA) credential is earned through a rigorous process which includes demonstrated experience and adherence to APRA Standards. Annually, a PRA must complete 8 credits of continuing education to maintain this credential. Learn more about continuing education here. In order to be eligible to apply for the PRA credential, your company must become an APRA member first. Make your company an APRA member here. Please note that this application is very detailed and may take an hour or more to complete. Please plan accordingly. 1. Have the following prepared before beginning the form. A sample work report, consisting of the individual's actual work, not just a generic sample study (attach and use: Sample Reserve Study Checklist). 2. Fill out the form by clicking "Apply Online" below. Attach appropriate documents where specified, and pay the application fee. Click Submit. 3. APRA Headquarters will be notified once the form is submitted. We will get back to you with a decision promptly. 1. Complete PRA designation application ("Download Individual Application Form" button below) and send to apra@teamwi.com. Note: Please do not mail your application - send via fax or as an attachment in an email to apra@teamwi.com. 2. Pay the application fee. You must pay the fees before your application will be processed. In the event your PRA request is denied, you will be refunded the membership cost minus the application fee of $50. Pay by check. If you'd like to use an alternative payment method, please contact APRA Headquarters. 3. Once received with all criteria met, a decision will be made and we will get back to you promptly.